I've always wondered what the difference between a vegetable soup and a vegetable purée was. Well. Wonder no more. Just get your oven, stove and blender of choice ready and prepare yourself for the simplest way to pack as much liquid flavour into broccoli as possible. This is actually super easy, and doesn't take very long hands on time to do. 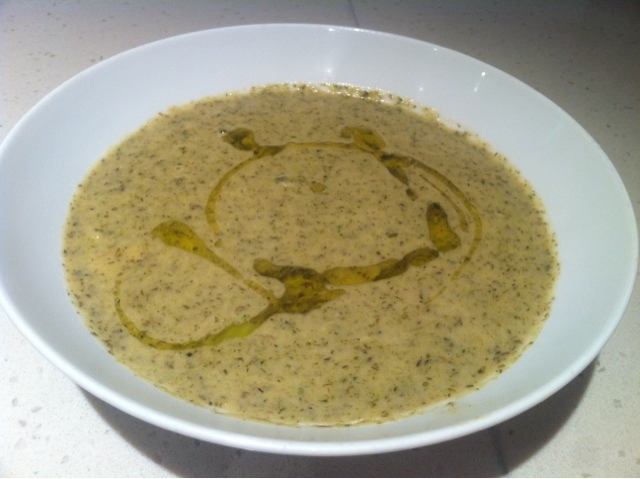 Especially for the warm hug of flavour you get from it. 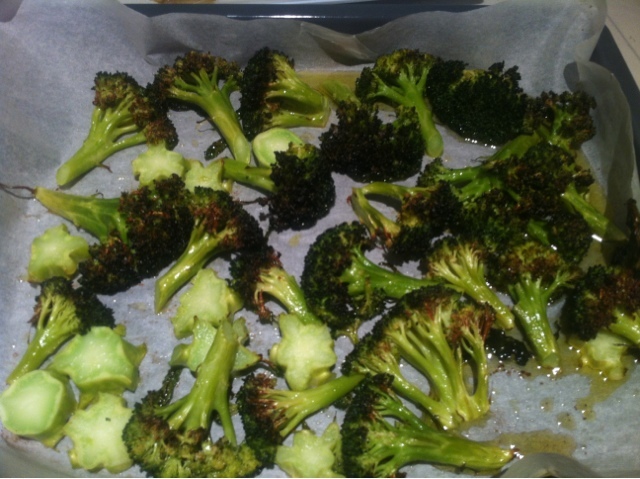 Chop the broccoli into pretty large florets, cover with oil (especially the brushy bits) and pop into a prelined dish. Roast in a preheated oven for 15 - 20 minutes or until tender. Fry garlic cloves in a large saucepan with some oil in the bottom on low, until slightly brown. 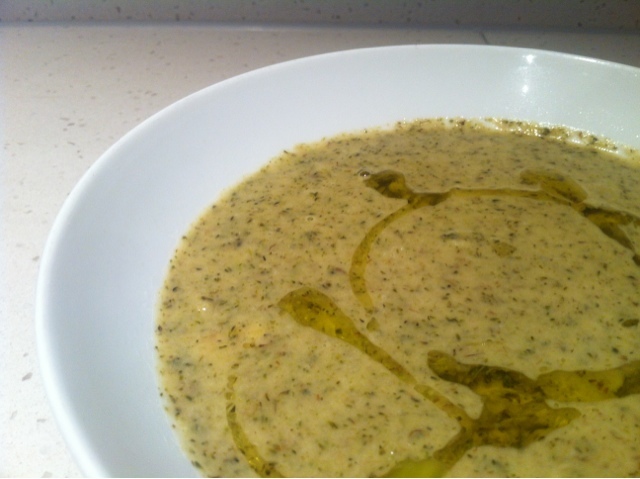 Add the broccoli (with the roasting olive oil too, if you like) and fry it a little if you want. Pour in the broth, and if the water level doesn't reach to nearly the top of the broccoli, add some water until nearly covered. Heat the water until hot (not boiling - it ruins the gelatine in the broth) and let it go for 10 - 15 minutes. Purée the contents of the pot. I used a stick blender, which is a lot easier, but feel free to pour it into a normal blender and do it like that. Blend to your consistency liking (I like mine chunky).